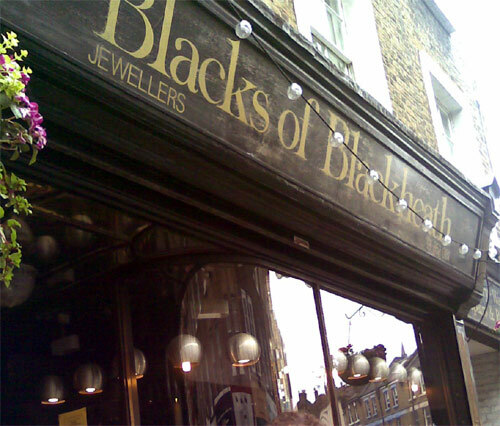 Blacks of Blackheath – finest Marmite jewellery! The jewellers Blacks of Blackheath is another one of those shops that looks like it has been lost in time. 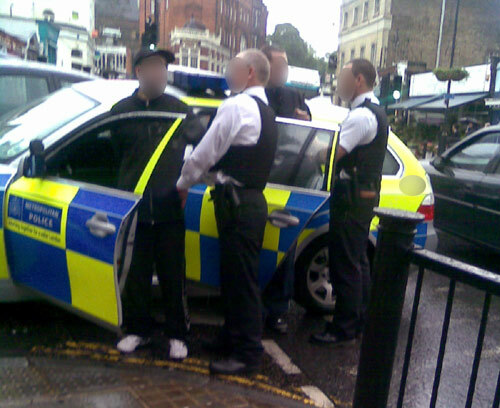 From the outside, it looks very traditional, and has another one of those lovely mosaic front steps, as also seen here. Inside, the staff were very helpful – their website says it is a family run shop, and has been there for 20 years, although it looks like 120… A watch strap replacement cost £7 and took 10 minutes, which seems reasonable. 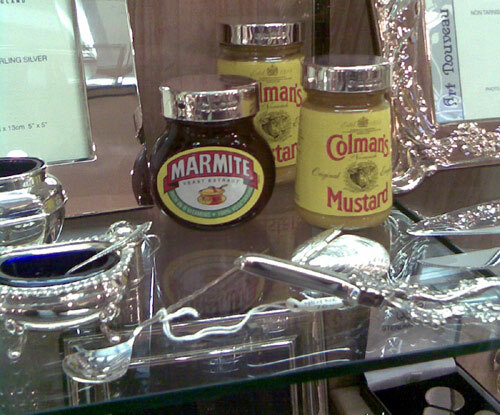 And these bizarre silver Marmite lids were spotted on the way out, should you wish to add some bling to your breakfast.